2008 Red Dun colt by Freckles orphan Lad and out of Free to Be Dun, this colt has a huge hip and a wondeful head on him, he is going to make an awesome horse. 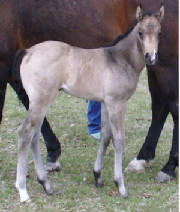 2008 Bay filly by Texas SkipaStar and out of Isle Be A Dreamer. Diamond Jack Kid. 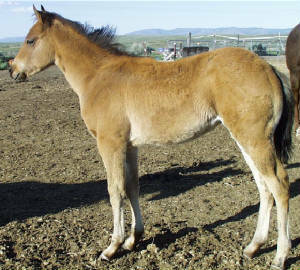 This is a nice filly and she is already sold to Crystal Marvetz who also has her 2007 full sister. 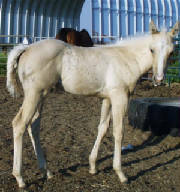 is a palomino turning grey colt by Demand The Cash and out of the Thoroughbred mare Sands Aglow, he was quite the surprise when a bay mare threw a Palomino foal but it just goes to show the color possibilities cash can produce. He is a base Chesnut turning grey or roan, only time will answer that question. He is out of Freckles Chexcalibar and By Demand the Cash. 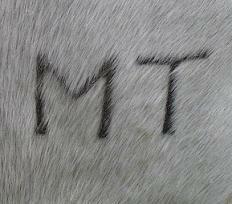 Fritz is a very level headed colt with a huge hip on him.